The decommissioned aircraft carrier Independence (CV-62) will depart from Naval Station Kitsap, Wash. for Brownsville, Texas on Saturday, Naval Sea Systems Command announced on Thursday. Independence – the fourth of the Forrestal-class super carriers – will be towed from Washington to the Texas coast around South America through the Strait of Magellan to be scrapped. The operation will start a day later than anticipated due to weather concerns. “The ship will be visible along the waterfronts of Bremerton, Port Orchard and Bainbridge Island as it makes the trip through Rich Passage. Spectators may view the ship pulling out from the south end of the Navy parking lot running alongside Hwy 304, near Naval Base Kitsap-Bremerton Pass & ID,” the statement said. 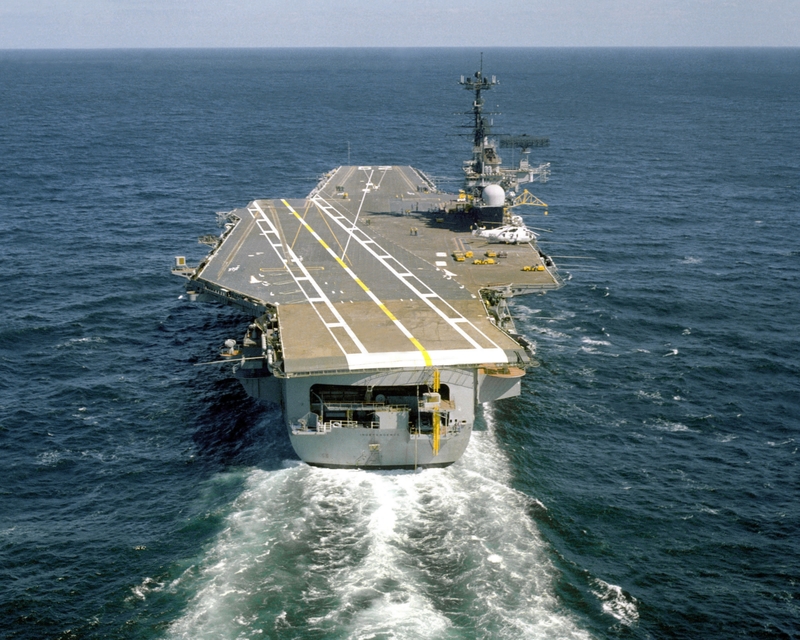 The carrier was commissioned in 1959 and, “during its lifecycle, the ship made one tour off the coast of Vietnam in 1965, carried out airstrikes against Syrian forces during the Lebanese Civil War and enforced the no-fly zone over southern Iraq as part of Operation Southern Watch,” NAVSEA said in a statement. Decommissioned in 1998, Independence has been mothballed in reserve in the Navy’s Inactive Ships Maintenance Facility in Bremerton, Washington. In August, International Shipbreaking, Ltd. announced it was selected to dismantle the 60,000-ton ship as part of a $6 million contract reported the Kitsap Sun newspaper.